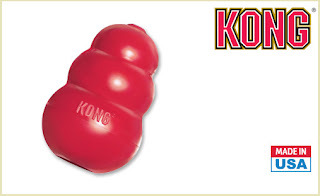 The Coupon Centsation: FREE Medium Kong Toy for your Dog! FREE Medium Kong Toy for your Dog! While we're used to scoring FREEBIES for ourselves and around the house, today you can score a FREE Medium KONG toy for your pup. Right now, NEW Doggyloot Members are getting a FREE $10 credit making the Medium Kong Toy FREE. 3) Next, apply it to the Medium Kong and score for FREE or Save $10 off your purchase. Enjoy the savings! For more of the latest deals & greatest steals, stay tuned to The Coupon Centsation on Facebook.